While I’m a fan of Japanese food across the board, street snacks like okonomiyaki and takoyaki have to be my all time favourites. 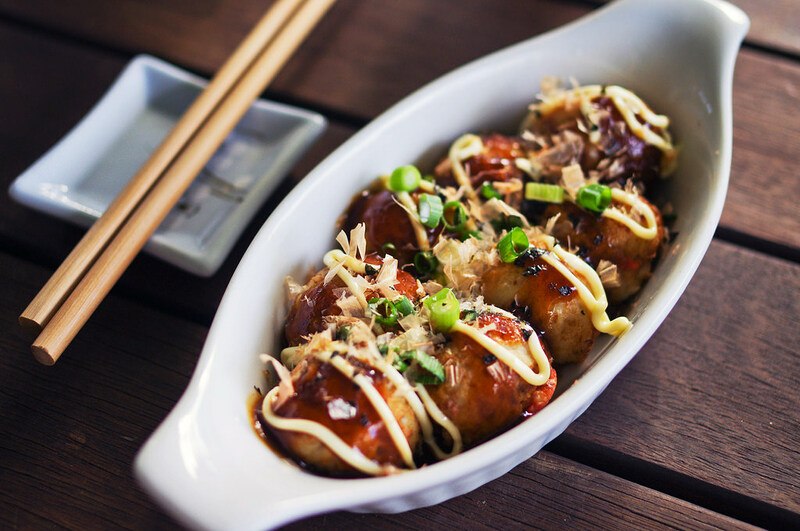 In fact, I don’t think I’ve ever met a person who doesn’t love takoyaki – even my dad, who generally despises seafood can’t say no to it! 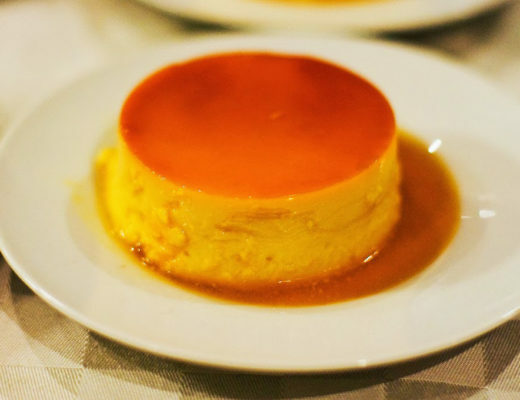 Part of the reason I love it so much is because it’s the ultimate comfort food. That crispy exterior oozing with piping hot, gooey batter is just too good to resist, whether it comes from a Japanese restaurant or street stall. For the longest time I put off making takoyaki myself, but it’s actually the easiest thing. In fact, the only hard bit is probably getting your hands on the tools, whether it’s a takoyaki pan or dedicated machine. Mine was actually branded as a Dutch pancake maker from Target, but it still works a treat. I’m not sure if they still sell it, but it’s definitely worth searching for that or even one of those cake pop makers. Just make sure it’s deep enough to form a spherical shape first. 1. Make dashi stock by mixing a sachet of hon dashi stock granules with hot water. Set aside and let it cool down. 2. 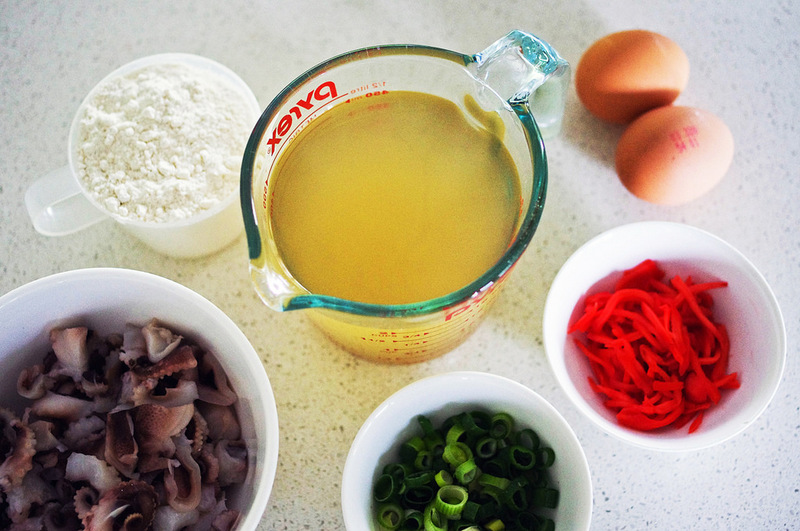 Whisk the eggs in a bowl, and add the dashi stock. Gradually mix into the plain flour, then season with soy sauce and a pinch of salt. 3. Oil the takoyaki pan well with a paper towl. 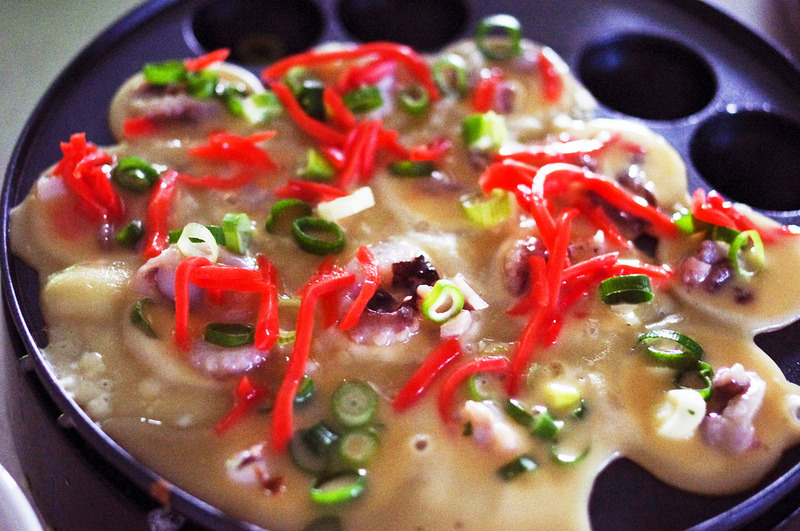 Heat up your takoyaki machine (or pan), then pour in the batter. Don’t worry if it overflows at this point. 4. Place a piece of octopus (or whatever filling you like, really!) in each hole, then top with the green onion and pickled ginger. 5. As the takoyaki cooks, use a skewer to divide the batter between each hole. After a few minutes, use skewers to rotate the takoyaki 90 degrees and let the uncooked batter pour back into the takoyaki pan. If it won’t rotate easily, leave it to cook for a bit longer. 6. Keep rotating until the takoyaki turns easily. When it’s done, the edges should be brown and crispy. 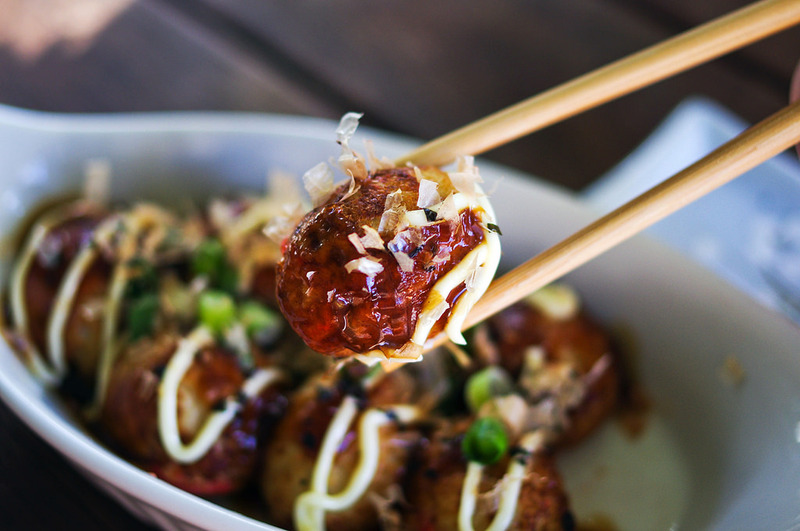 Remove takoyaki from the pan with your skewers. 7. Serve on a plate and drizzle with sauce and kewpie mayonnaise. Sprinkle generously with aonori and bonito flakes (or whatever you prefer. I used extra green onion since I couldn’t find aonori). You can pick up most of these ingredients at Asian grocery stores. While I think supermarkets like Coles are starting to sell Japanese mayonnaise, definitely shop around for the best prices! Don’t be afraid to let the batter overflow onto the sides! If anything, I think tucking in that extra batter helps you get a nicer spherical shape in the end. 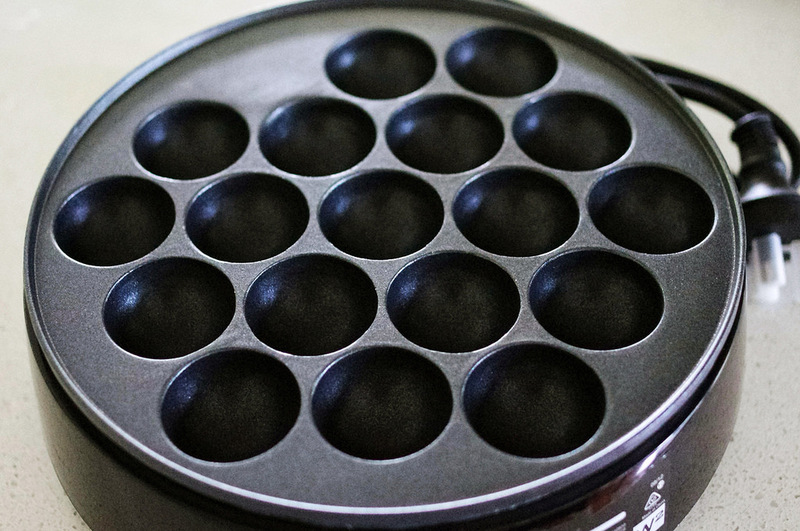 Make sure you oil your takoyaki pan well, especially between uses. This makes it a lot easier to cook and rotate. You can get a special brush for this, but I just used a wad of paper towel attached to chopsticks. I’m sure there are tons of takoyaki variations with bacon, cheese and every ingredient under the sun, but for now I’m sticking with the purest version of it. Anyway, this recipe makes around thirty takoyaki balls, which probably serves six people (or in my case, four very hungry ones). 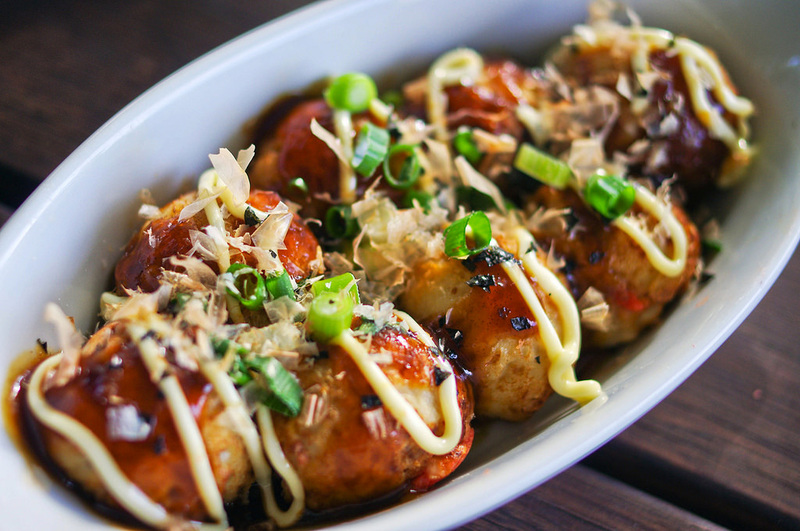 Anyone else a fan of takoyaki? Let me know how you prefer to eat yours!